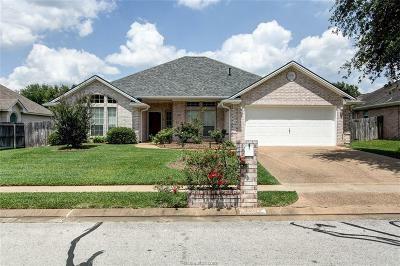 Great Location - very well maintained house in desirable Edelweiss Subdivision. Close proximity to park, schools, shopping, hospital and Texas A&M. Gorgeous wood floors in formal dining and living room. Tile floor in all wet areas. High ceiling with architectural details, huge living room for entertaining, cook's delight kitchen with cabinet galore, spacious bedrooms with ample storage space. Large covered patio for summer BBQ parties. A must see! !